PhoneClean 2 Promises To Free Up Space on Your iOS Device, But Does It Work? A while ago, I found myself in a a bit of a predicament. I was away from home on a trip, and had a deadline on that same night. There was an iPad app I wanted to write about, but I realized I’d uninstalled it to make room for something else. When trying to reinstall it, I discovered that my iPad was completely full (which is why I had uninstalled it in the first place), and had to spend some precious time on cleaning things up The Best Tips For Freeing Up Spare Memory On Your iPad The Best Tips For Freeing Up Spare Memory On Your iPad There's no disputing the fact that iPhones and iPads are very sought after devices, but the price of owning these gadgets can be very costly, especially when Apple charges over $600-$700 for 32GB and 64GB... Read More . As you may remember, I own an old, first generation iPad. Being an old device, it’s pretty set in its ways, and did not really take to me trying to shuffle things around. It decided to completely die on me, forcing me to restore it and start from scratch. This was not exactly according to plan that night, and I ended up working very late to make up for it. It was at that point that I desperately wanted something that could clean up my iPad for me, preferably without me having to actually delete or uninstall any of my precious apps or photos. Unfortunately, such options are usually kind of sketchy, and while I do want to free up some room, I definitely don’t want to lose content or for my device to stop working. It is in the line of duty that I’ve decided to subject my iPad to one of these programs, namely, iMobie’s PhoneClean 2. PhoneClean is a free program that claims to free space on your iPhone, iPad, or iPod Touch by deleting files that should be useless to you, such as temporary files, cached and offline files, cookies, script files, and media files that failed to sync properly. On paper, this should be quite useful, especially if you own a 8GB or 16GB iDevice. But does it really work? Despite this somewhat bombastic headline, there’s really not much to getting PhoneClean to scan your iDevice. Assuming you already have iTunes installed (it must be installed on your computer for PhoneClean to work), all that’s left to do is head over to iMobie and download PhoneClean 2. 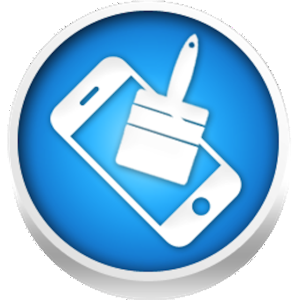 PhoneClean is available for Windows XP and later or for Mac OS X 10.6 and later. Despite what you might expect, the program does not try to force you into installing any junk toolbars or third-party programs — installation is quick and straightforward. Once done, it’s time to plug in your iDevice and submit it to a PhoneClean scan. Only slightly worried, this is exactly what I did. Scanning With PhoneClean: Did My iPad Survive? As you can see from the screenshot above, my iPad is no longer completely full. After that night mentioned in the intro, I never re-installed all my apps and synced back all my media files. This was almost a year ago, so I didn’t expect my iPad to have a lot of junk on it, although I have to admit that I’m not in the habit of taking very good care of it. Before you start the scan, you get to choose what you want to scan for. I chose to scan for everything, but if you’re worried about losing log-in information and such, you could exclude cookies and script files. When I started the experiment, my iPad had 5.86 GB of free space according to PhoneClean, and 5.65 GB of free space according to iTunes. It was time to see how much space was taken by “junk”. Right off the bat, I noticed that PhoneClean did not feel like a scam. It didn’t try to push anything on me, and the interface is actually quite fetching. Scanning my iPad’s 9 GB of data took around 7 minutes, during which I could still use my iPad to watch videos or play games (you have to keep entertained while the scan goes on, after all). After 7 minutes, PhoneClean informed me that I could save 1.02 GB by deleting all kinds of files it had found. Note that most, if not all of PhoneClean’s findings on my device came from cache and offline files, but this will change from device to device, naturally. PhoneClean 2 lets you bore down into its findings, and exclude any files you don’t want erased, or more accurately, exclude apps you don’t want it to touch. I chose to exclude nothing, as I wanted to see exactly what would happen to my apps after cleaning them up with PhoneClean. It’s time to clean up! Did my iPad survive? Clean-up was surprisingly quick, and after less than 5 minutes, PhoneClean was done and presented the following screen. This was the only time PhoneClean asked anything in return, and it was done in a pretty agreeable way. It did not feel spammy or seedy. But what happened to my iPad? Surprisingly, not much. Aside from having 1 GB extra of free space, that is, which is quite significant in a 16GB device. My Kindle books stayed synced to the same pages, apps such as Pulse, Skype, Pinterest, and Dropbox were still logged in, and even my Safari and Dolphin tabs and browsing history remained untouched. A Solitaire game I was playing while PhoneClean was scanning was saved exactly where I left off before the clean. All this remained even after restarting my iPad. These results may differ from device to device and from app to app, so if some of your apps do get logged out after the clean up, don’t be too surprised. I’ll remind you again that my iPad runs iOS 5.1 (it’s not supported by iOS 6), and PhoneClean still worked without a hitch. All in all, I couldn’t find anything really negative to say about this program, despite viewing it with a pretty critical eye. The only option I would like to see added is a way to back up your files just in case the program deletes something that does cause damage. You can, however, do this easily using iTunes, so it’s not a big deal. Don’t own an iDevice? No worries, here are some useful tips on how to free up space on your Android device How to Free Storage Space on Your Android Device How to Free Storage Space on Your Android Device If you've run out of storage space on your Android phone or tablet, we can help you free it up. Read More . Are you convinced, or will you still be wary when trying out PhoneClean? Perhaps you’re still too scared to subject your iDevice to a clean? Share your thoughts in the comments! I would try an alternative iMyfone Umate. Clean interface but great performance. No more free now! It will charge $20 a year for 1 license! What a jerk! I use mine once or twice a month & Love it! I filled up my Iphone fast with games, music, pic ext .... & saved a good amount of space...... And you can't beat the price!!!! Great application, easy, simple and great performance. A very very useful article covering the most wanted tools which every one always look for as the memory in iphone is very costly and you have very limited. will definitely try this for my ipod touch since it's already bloating with files need some free space and in my mom's ipad..
Have been using this software every so often since I found it few weeks back. Works great! I used this for a while now. Was skeptical, looking for adware / spyware type of install or interface - nope. Phoneclean is CLEAN. And now I use it to clean both iPhones I own once in a while - great program. 5/5 for doing what it claims + no bogus installs.